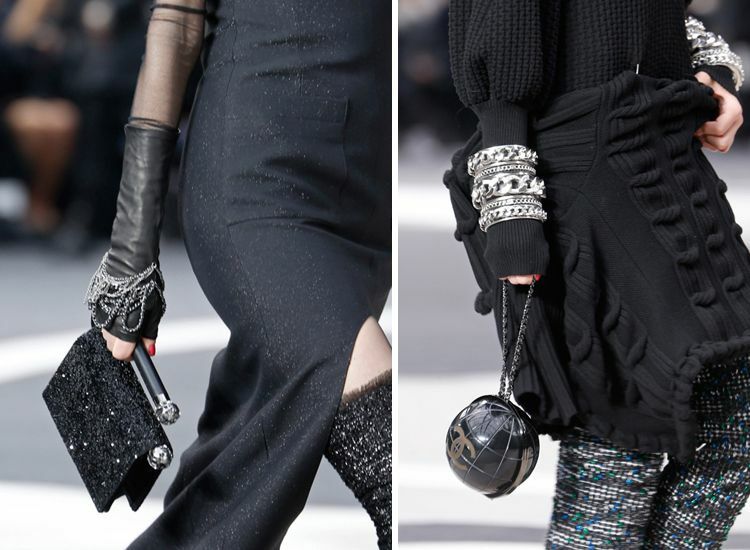 While Saint Laurent show was quite a let-down to me, Chanel was more than a redemption. 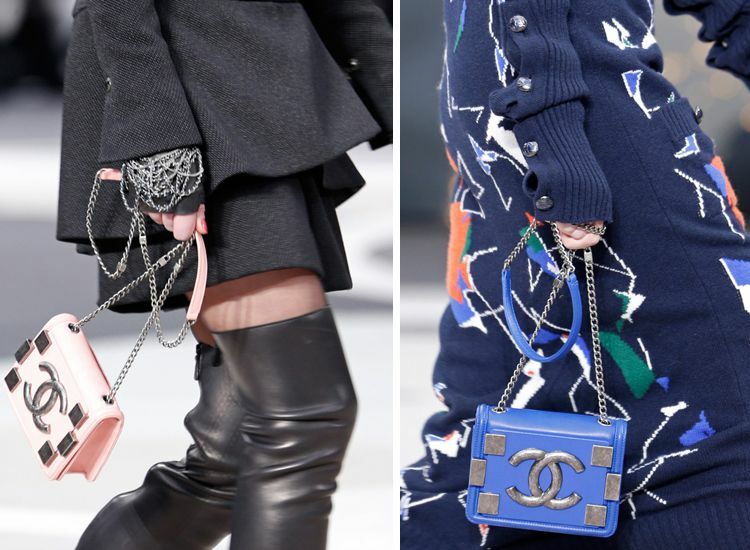 We as fashionistas, lives in a World that revolves around Chanel. Karl dictates what we want to have, he tells his customers what they will be pleased with. If you enjoyed Spring 2013′s Lego-inspired bags like I did, you will be obsessed with new iterations of the little clutch, I absolutely love the tweed version and the glitter version below. 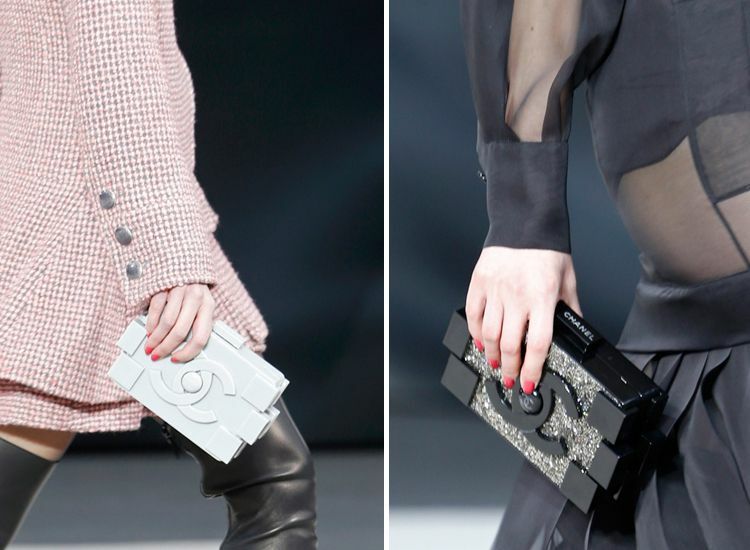 They also introduced a new mini crossbody with hardware that reflects the structure of the Lego clutch, which is also interesting because on the runway, they were all so small. I wonder if they will have a medium size for this for retail. 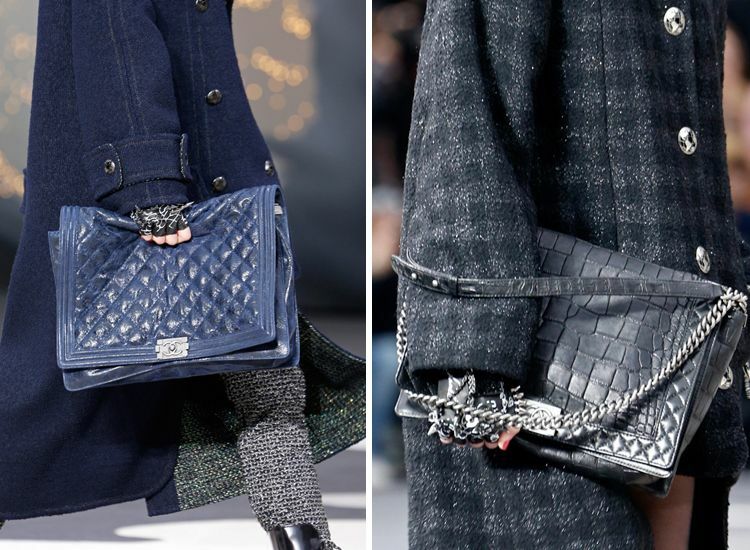 They have this new portfolio-sized Chanel Boy Bags, big enough to fit a small laptop. I think they also understand that we all want to see a less rigid Chanel Boy after all. Other remakes of the legendary Boy were interesting to see. 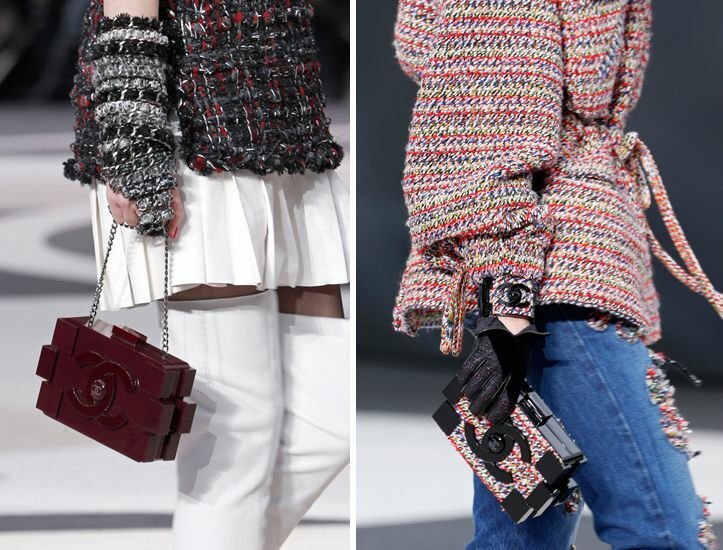 I think on the left is more like a super stylish iPad clutch, and the twin-bag on the right is so cool to carry. Most notable pieces that describes the whole theme is the spherical minaudiere that aped the giant globe that centered the set at the Grand Palais in Paris. I'm not feeling the U-shaped handles on the bag below though. Karl Lagerfeld seems to be able to do no wrong, as proven by his super prowess across the universe, and this collection just attests this fact further. Finally, here are the closing looks of the collection. Touches of grunge mixed with a traveler vibe made the mainly black and white collection seem deeper throughout. Sheer fabrics, which have been a major trend this runway season, even found its way onto a few pieces. See more photos here. 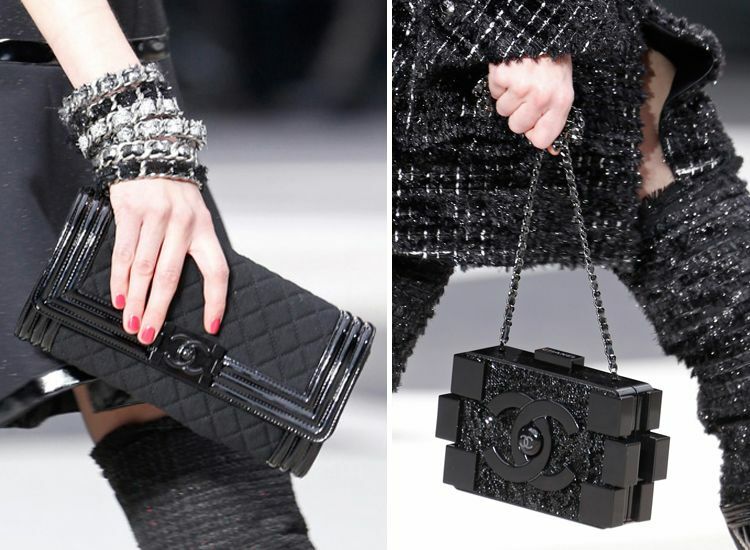 Last but not least, we just heard that Karl Lagerfeld, who often picks exotic locations like Versailles and Mumbai, India to present his between-season collections, will show Chanel Cruise 2013/2014 in Singapore on May 9. How would he tie in the theme with the locale this time. I can't wait. Read more about it here. WOW! 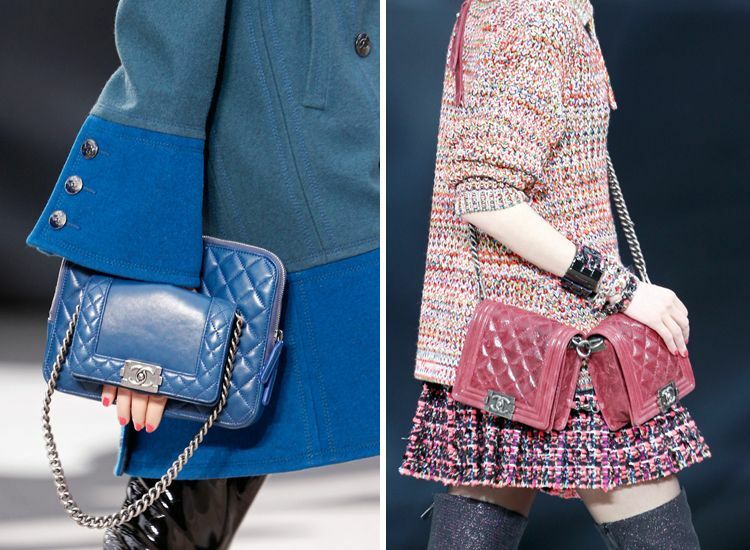 The handbags and clutches displayed above are really very pretty and stylish. However I have to pick the one then I will definitively choose that last one bag. Hey Silvia, your posts are really amazing. These bags are looking gorgeous. I've been reading your posts and I'm really glad that you are working so good with your interest.Your writing skills are good. Great share.